Want to add an extra touch to your bedroom decor? A headboard with lights is not only a beautiful but a practical way to do it too. Here are 15 fantastic ideas. Changing an old bed or even an old mattress can result in your headboard not working anymore. That’s when you need to decide – buy or DIY? We are all for DIY projects here, so we vote for the latter. 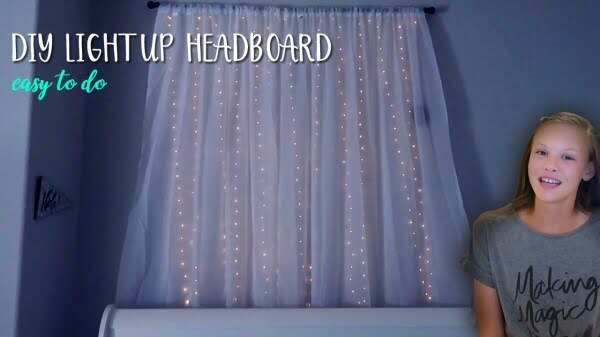 And you can make a beautiful DIY headboard with lights too. 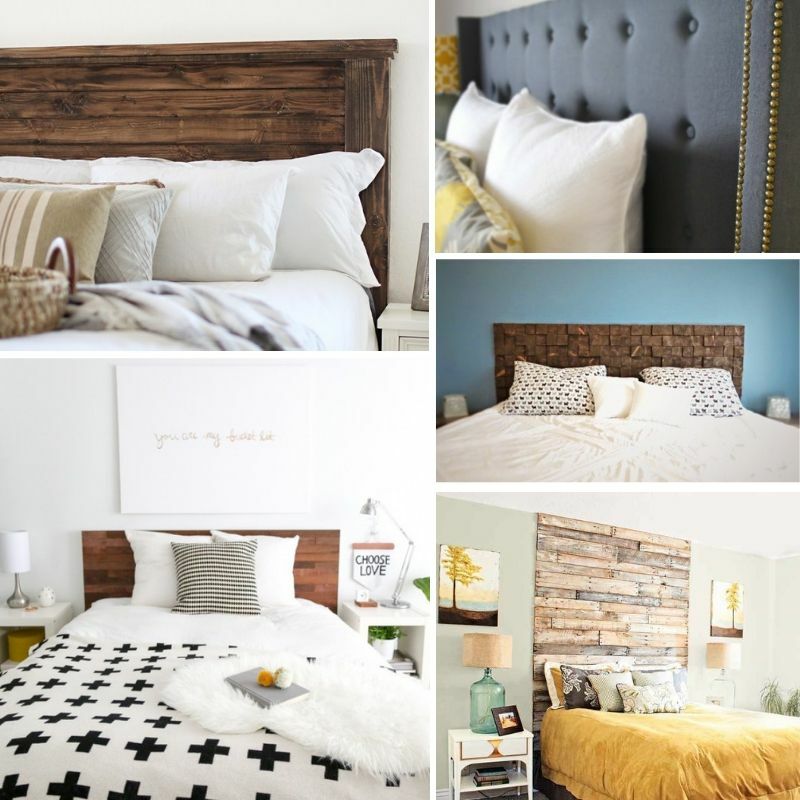 It’s an inexpensive and practical way to make a headboard also. So here are 15 easy and brilliant ideas on how to build a DIY headboard with built-in lights at home. Most of these ideas take a single weekend to complete. So get your tools ready, because you’re about to make a cool new headboard for your bedroom! This is a beautiful DIY pallet headboard with an added lamp for a simple project idea. Follow the link to learn how it’s done. 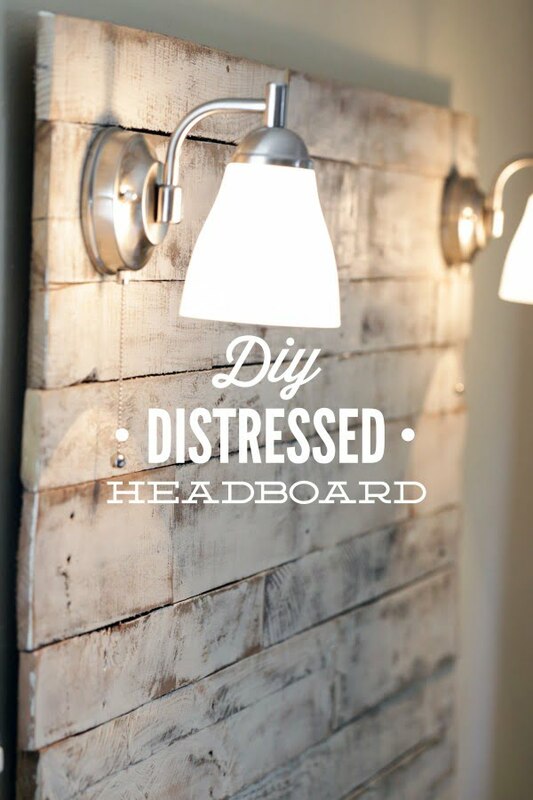 This is a beautiful DIY distressed headboard with light sconces as a straightforward project idea. It can be easily made over a weekend. Follow the link for the full guidance and instructions. 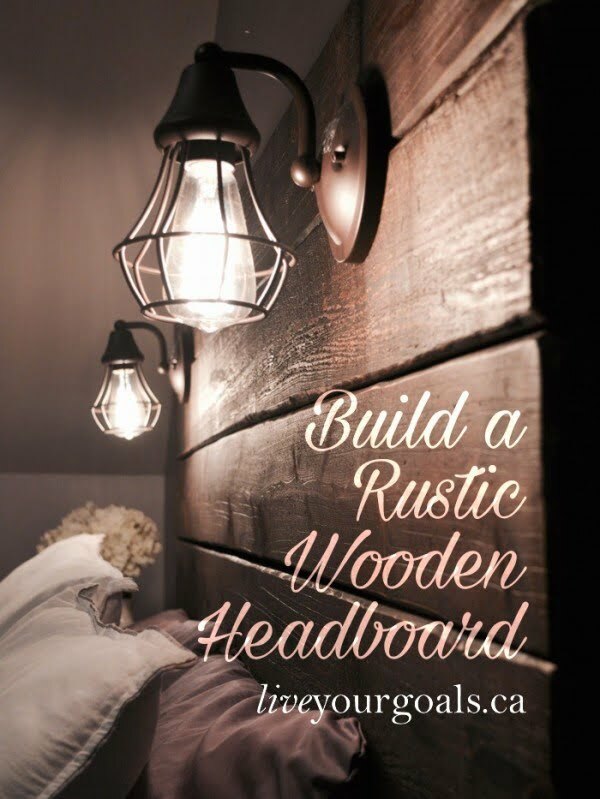 What an excellent idea to build a rustic wooden headboard (includes lighting) for a simple craft project. Follow the link to find out how it’s done. This is a terrific DIY light up headboard as an easy project. It’s a sheer curtain headboard with string lights that add style to your bedroom decor. See the tutorial to get the complete plans and instructions. Make this tremendous rustic headboard for $36 as an easy project idea. You can make it of 12 wood boards and add stylish lighting. Follow the article to see how it’s done. 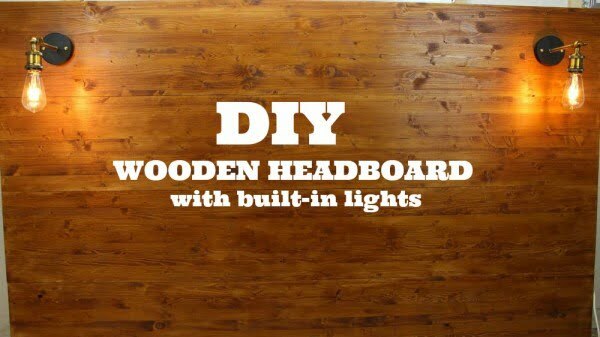 Create a wood headboard with built-in lights for a straightforward home project. These are great reading lights that will eliminate the need for bedside lighting. A lovely rustic touch in your bedroom decor. See the tutorial to see how it’s done. 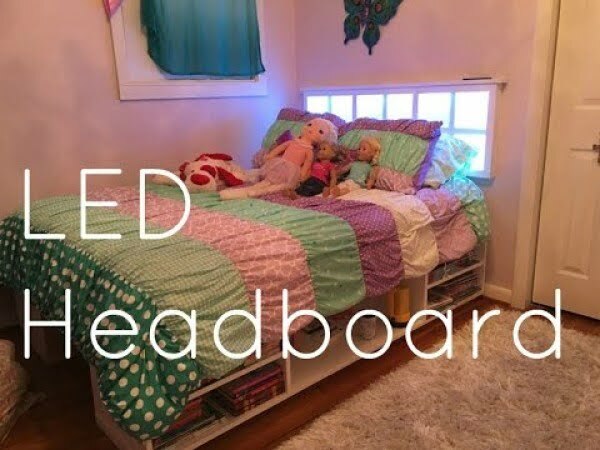 Here’s how to build a LED headboard as an easy bedroom decor project. Check out the video tutorial to see how to do it. 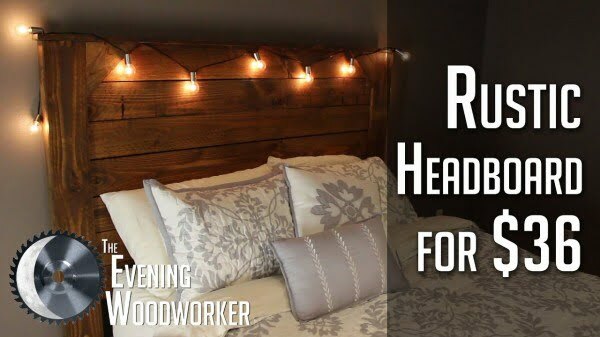 Here’s how to build a wood headboard with reading lamps as an easy, inexpensive and practical project idea. Follow the video tutorial to see the full details. Just hanging string lights behind your bed can make a beautiful faux light-up headboard. See the article to find out how it’s done. 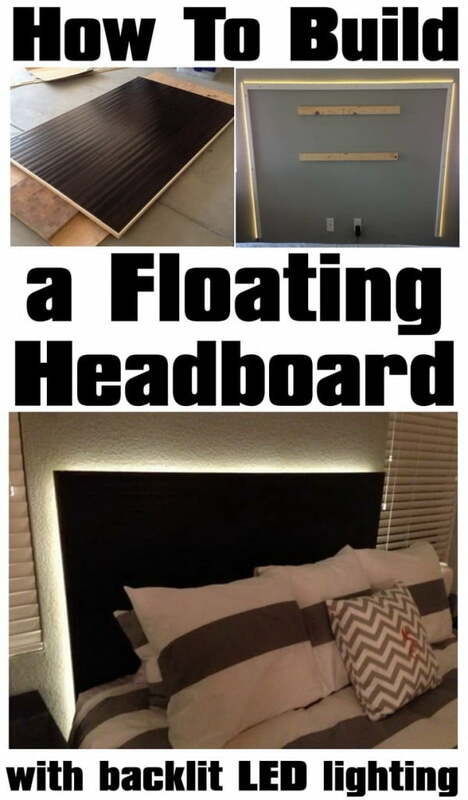 What an excellent idea to make a floating headboard with led lighting as an easy craft project. The LED backlight makes the headboard look as if it’s floating. See the article to get the complete details and instructions. 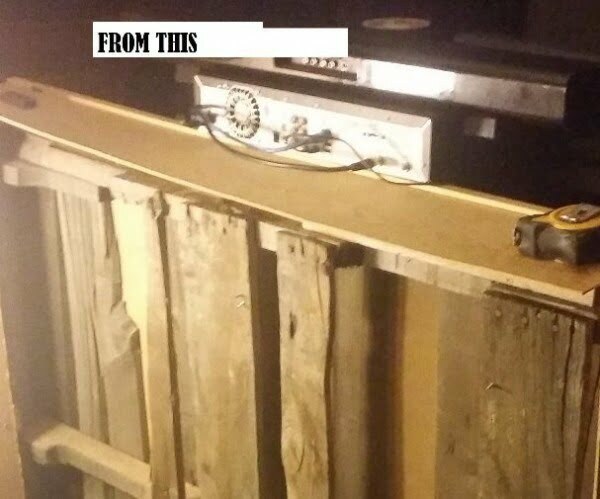 This is an impressive pallet wood headboard with coach lights and a recessed shelf for an easy home project. And it costs only about $50 to make. Check out the tutorial to find out how it’s done. What a terrific farmhouse style headboard with embedded led lighting for a straightforward craft project. Follow the tutorial to learn how it’s done. Make this romanticDIYy headboard backlight as an easy craft project. 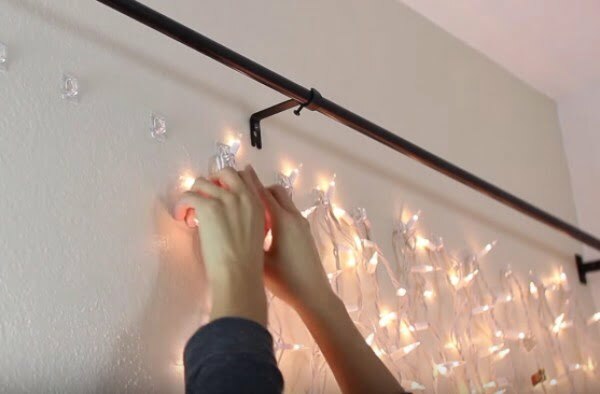 Make use of those mini string lights outside of Christmas. Check out the link to get the full details. 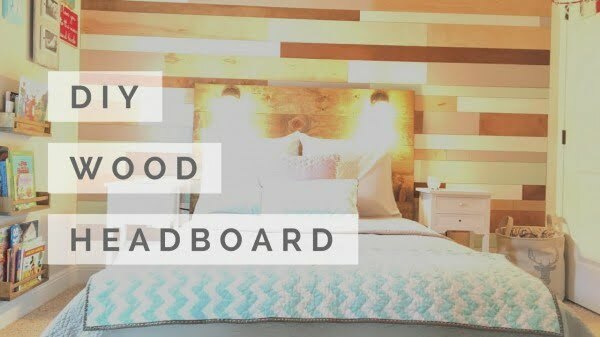 This is a fabulous DIY wooden headboard with built-in lights as an easy home project. Use that rustic touch to revamp your bedroom decor. Follow the article for the complete details and instructions. 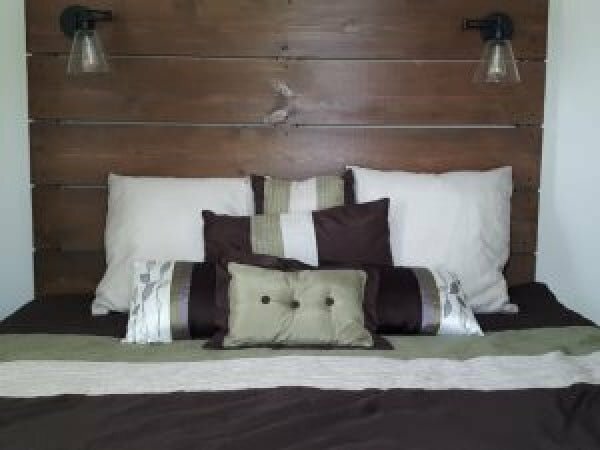 Create the DIY pallet headboard with lights as an easy home project. See the link to get the complete details.